A Q&A with Wendy Carrillo, a candidate for state assembly in California’s 51st district. After a competitive loss in her first race, Wendy shares why she decided to run again, what she’s learned and her plans to win. Tell us about yourself and your campaign. 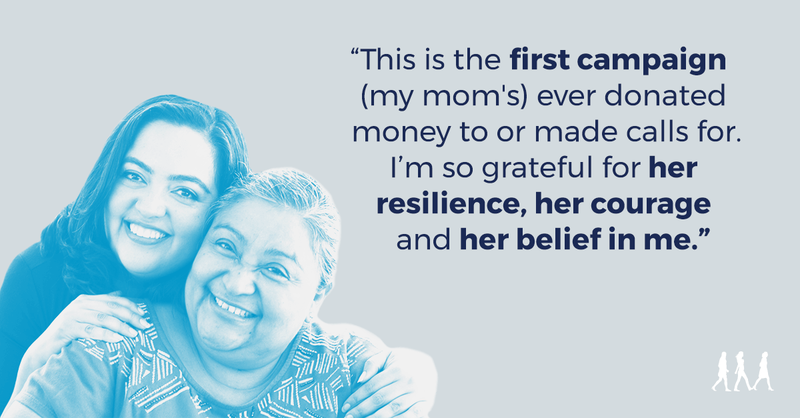 I immigrated to the U.S. from El Salvador when I was five years old and, like many children who fled the wars in Central America during the ’80s, I was undocumented. I didn’t know that at the time. But I was lucky to have a pathway to residency and became a naturalized citizen in my early 20s. I grew up in Boyle Heights and City Terrace, a small community in East Los Angeles. As the oldest of five daughters and a first-generation American, I was the first to do a lot of things. First to graduate high school in the U.S., first to go to college, first one to be able to vote. My parents, who are hardworking immigrants, instilled in my sisters and me the importance of being independent, persistent and committed to our community. I’m running for California State Assembly to represent the district where I grew up and where I live because I believe that the urgency of this moment requires that we act boldly and rise to the occasion. This is actually the second special election that I’m running in a sprint. Just a few months ago, I ran for a seat in Congress to represent this same community. My congressman Xavier Becerra was stepping down to become our state’s new attorney general after Kamala Harris won her race for U.S. Senate. I was at Standing Rock at the time, covering the protests against the North Dakota Access Pipeline that were attempting to protect natural water resources and tribal sovereignty. On one night of severe human rights violations, I was tear gassed and hit with a flash grenade. I saw people get sprayed by freezing cold water in 14-degree temperatures. I realized I wanted to do more than just cover the story. I wanted to help create a country of justice and opportunity instead of fear and oppression. While I didn’t win my congressional race, I felt it was important to persist, to not give up, to search deep within and keep going. To date, I’ve been endorsed by the Democratic Legislative Women’s Caucus and several of the female legislators who believe in my leadership and ability to create change. I’ve also been endorsed by SEIU California, which represents 700,000 members, as well as Democracy for America, one of the most progressive organizations in the country. This moment in our nation’s history requires that, as women, we step up. The attacks on women’s health care, the threats to close down community clinics, threats to repeal Roe v. Wade, threats on various groups of people — it’s never-ending. I’m running because I believe that we need to be at the table where decisions are being made about our bodies and our communities. In East Los Angeles, 30 percent of the community lives below the national poverty line. As a state, California is home to the largest group of DACA recipients. We are home to a large Latino population, immigrants from various ethnic backgrounds, mixed-status families, and we have one of the largest economies in the world. We are the resistance to a Trump administration that cares very little about who we are and the contributions we make to push America forward. Whose support are you thankful for? I’m thankful to each and every person who has encouraged me and who has shown up. Running for office is incredibly hard and oftentimes very lonely. 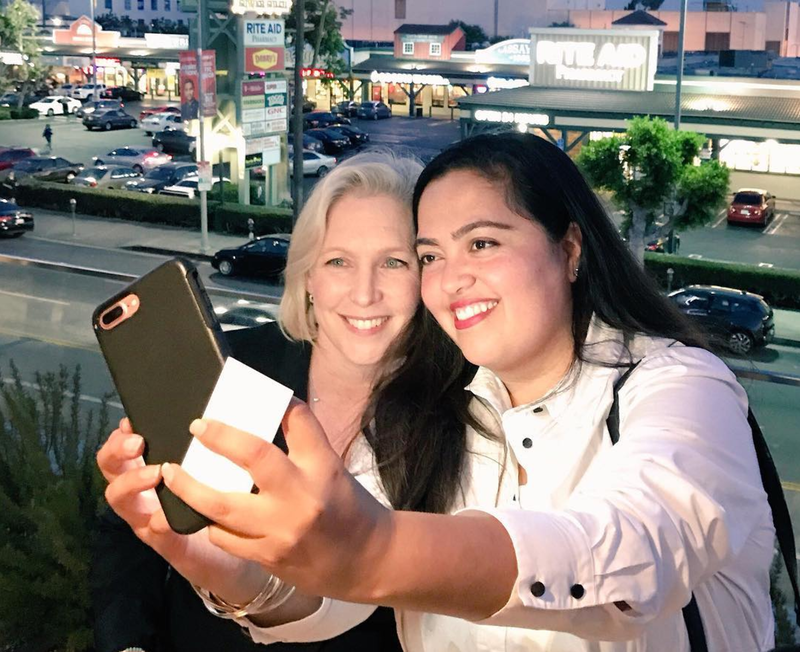 A few months ago, I saw Senator Gillibrand at an event, and I told her about my first race and asked if I should wait to run again. She said, “Absolutely not! Run again!” and then she said something that I say a lot, too — that we need to run to win, not just run to run. And to be honest, I’m thankful to my mom. This is the first campaign she’s ever donated money to or made calls for. I’m so grateful for her resilience, her courage and her belief in me. What can all women do to get involved and make a difference? What’s important right now is that women own their story, their voice and their power. It’s important we know our communities and that we show up as allies when needed. Sometimes the best thing that we can do is listen, especially when entering spaces where we have privilege. There are other times, however, where we must be loud, bold, progressive and unapologetic. As women, it’s important that we grow and support each other. Most of all, it’s important that we believe in ourselves and our ability to create change. They say that you find out who your friends are when you run for office, and let me tell you — that’s very true! It’s unnerving and surprising when people that you think would be with you aren’t and people that you’ve never met or people that you least expect are the ones that show up and believe in you the most. For the ladies reading, I can offer this: If you’re thinking of running for office, tell yourself that you are enough, that you are worthy and that you are more than ready. Believe in yourself the most.